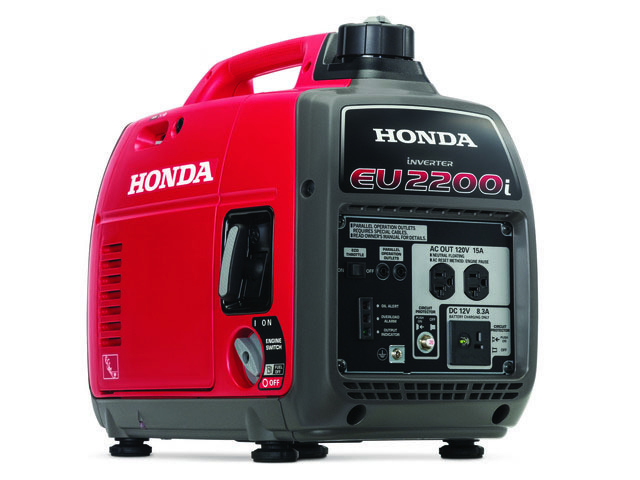 Honda Power Equipment sets a new standard in portable power with the introduction of the EU2200i inverter generator. Part of Honda Power Equipment's Super Quiet Series of generators, the EU2200i lineup is the perfect portable generator for work, home or play. A fuel shut off valve that allows the engine to run with the fuel supply cut off, helping prevent issues relating to stale fuel. A large spout and oil drain gutter for cleaner, easier oil changes. A smooth, light effort recoil and full transistor ignition system. A user-friendly design that incorporates color-coded startup points to start the generator. Increased ventilation that improves airflow resulting in better cooling of key components.